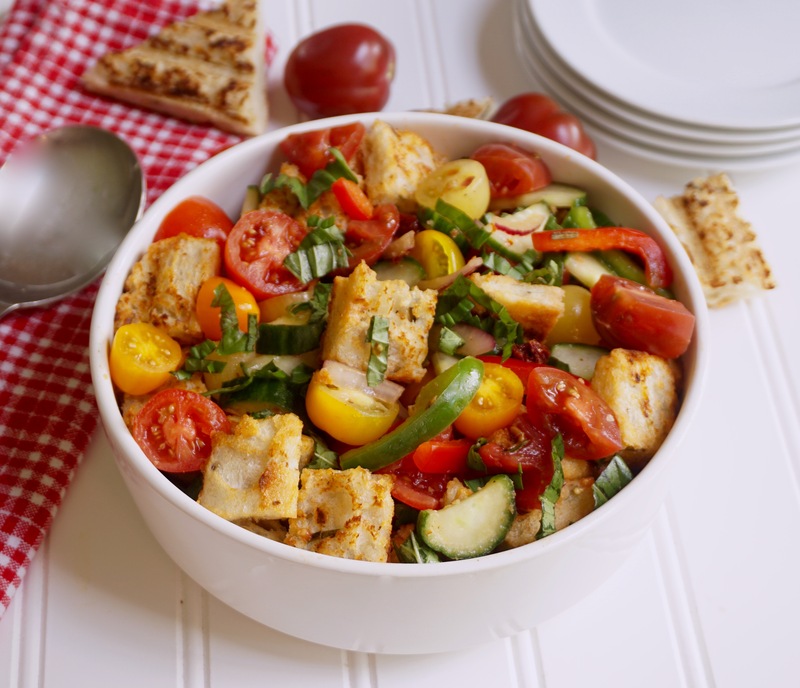 Panzanella is a salad that combines bread with tomatoes and vegetables. 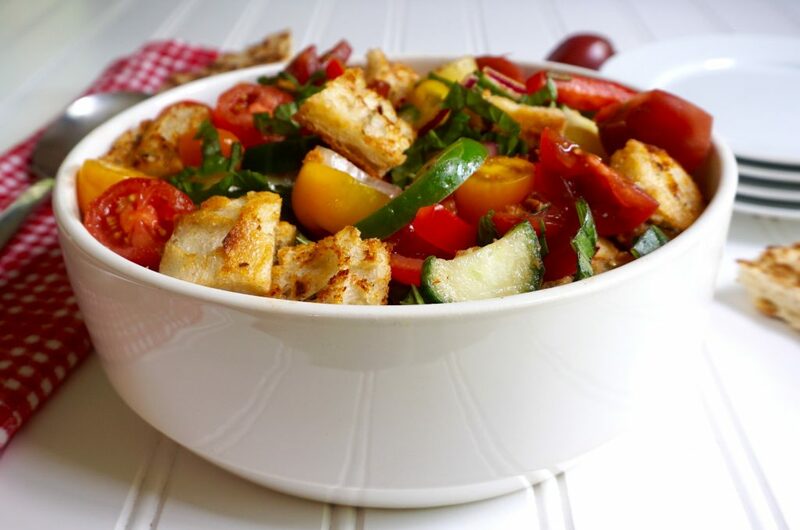 Panzanella is a traditional Tuscan salad that combines bread and tomatoes. I read somewhere that it was originally created to use up stale bread. In this version I am using a rustic Cibiatta bread. The key to this recipe is to get the bread really dry by toasting it. 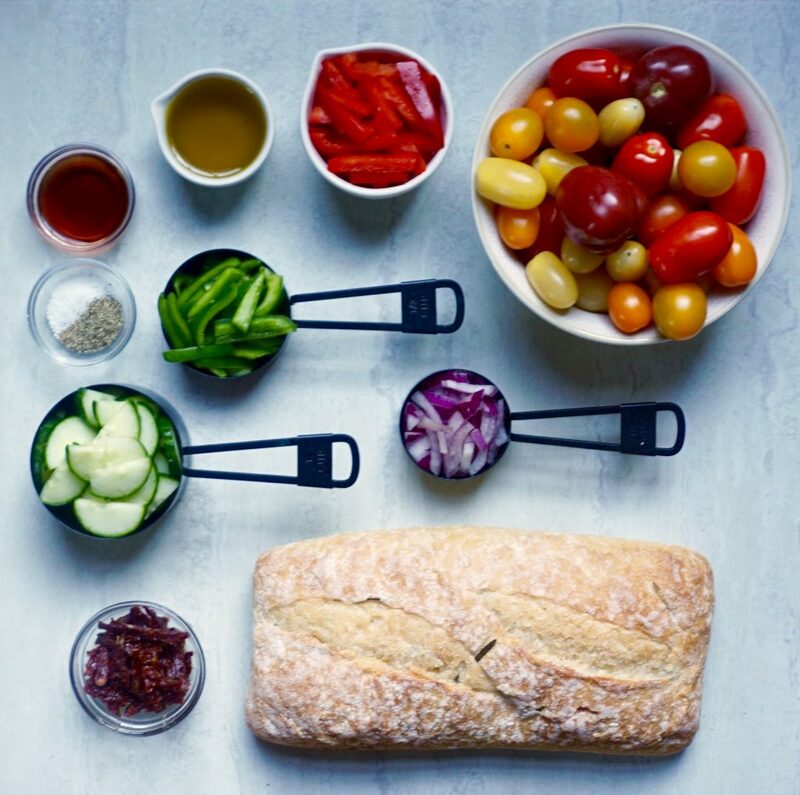 This key step prevents the bread from becoming soggy when you add it to the salad with the dressing. 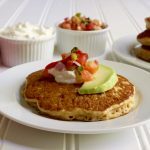 The other key step is the freshness of the tomatoes. Try to find seasonal ripe tomatoes if you can and they will be the star of this salad. 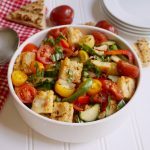 Panzanella is a wonderful addition to serve alongside a grilled meat or any chicken dish, but it is hearty enough to stand alone as a light meal. Preheat the oven to 350 degrees. 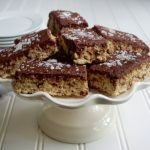 Cut the Cibiatta bread in to 1 inch cubes and toss with 2 tablespoons of olive oil. Bake for about 15 minutes until the cubes are dried out and just slightly browned. Cut the cherry tomatoes in half or quarters, depending on their size. Place in a large bowl and add the bread, green peppers, red peppers, cucumber, sun dried tomatoes, red onion, and basil. Stir to combine. In a small bowl combine the olive oil, red wine vinegar, garlic, salt and pepper. Mix well. Pour the dressing over the salad and combine well. Do not pour the dressing over the salad until you are ready to serve. The bread can become soggy if the salad sits too long.